Lower car hire costs in Namibia | Compare & book Namibia SUV, MPV & 7 seat minivan rental at a lower price. We offer cheap car hire in Namibia including Zero Excess rates. Book that larger SUV or MPV for a comfortable safari in the Etosha Pan. We have discounted rate from companies like Avis, Budget, Europcar, National/Alamo and Thrifty. 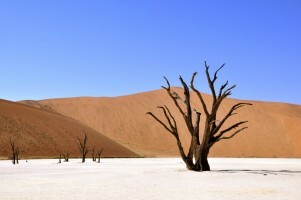 One Ways in Namibia - As Namibia is a perfect holiday destination, many people choosing to tour from one town to another. Popular one ways are Botswana to Gaberone for an extra fee of N$3800. Also Francistown to Maun for N$5050. International One Ways - One ways are also possible to South Africa and Botswana with Budget Car Rental. Extra fees will apply. Included in the rental price are:- CDW (Collision Damage Waiver) with Zero Excess option, Third Party Liability, Vehicle Theft Protection (does not include personal items), unlimited mileage, Inbound Guide and travellers booklet, maps, Premium Location and Airport Fees, Stamp Duty and Tourism Levy, Tax (VAT and GST). To book car hire in Namibia, all you need is a current driving license (issued in your home country), plus a credit card for the local security deposit. Airports - You can collect vehicles at either:- Eros, Ondangwa, Walvis Bay or the capital, international airport at Windhoek. Walvis Bay and Windhoek also have downtown depots, as do Tsuweb, Swakopmund and Oranjemund. Insurance Cover - Select the insurance excess package that suits you best. This will determine the amount of the local excess deposit held against your credit card, when collecting your hire car. Remember, we offer insurance excess cover for your car rental, through Axa. Namibia is a very popular all year round holiday destination, which is not surprising given its many attributes including all year round sunshine, natural awe inspiring beauty, stunning wildlife and varied geology ranging from desert to mountain ranges and river canyons. Over two million people live here, with English being the official language, although Afrikaans, German and several local dialects are also spoken. Good savings on self-drive vehicles throughout Namibia . Go on safari in an SUV or MPV at discounted prices. Cheaper saloons and minivans for Windhoek in Namibia. Etosha Pan - You have to go to see how anything survives here. Over 100 different kinds of animals live in this desolate salt pan. 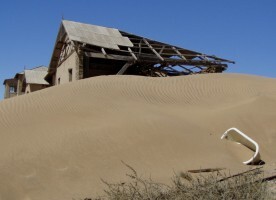 Skeleton Coast - Aptly called for all the shipwrecks that are scattered along the coast, or stuck on a beach. 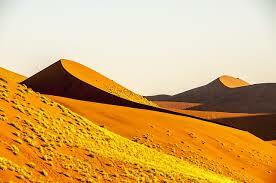 Kalahari Desert - For over 20,000 years, this has been home to the Bushmen, along with plenty of animals. The country does very well from mining such items as uranium and diamonds. Football and rugby are the most popular sports played and watched. Lying on the south-west, Skeleton Coast of Africa, Namibia offers the seasoned tourist lots to see, so not to end up stranded like a ship in the desert, see what the Namibian Tourist Board are doing to help you.